The 1000 Series of touchmonitors are designed, developed and built to provide the most cost-effective touch solutions for system integrators and VARs. 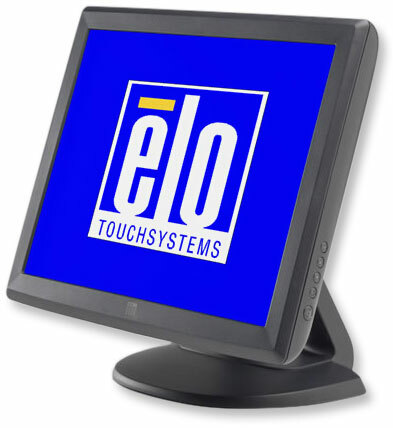 Aimed at the fast-changing retail POS and hospitality markets, they provide reliable, durable operation and come from the worldwide leader in touchmonitors, Elo TouchSystems. The 1515L features a choice of touch technologies: AccuTouch five-wire resistive technology, the most widely used for retail applications and proven to survive splashing liquids, food and grease, or IntelliTouch pure glass surface wave technology, for the ultimate in optical quality for dry retail and hospitality applications. E700813	 1515L, IntelliTouch - 15" LCD - 1024 x 768 - Dark gray - RS-232 (Serial) and USB Interfaces. The Elo E700813 is also known as Elo Touch Systems	ELO-E700813	.